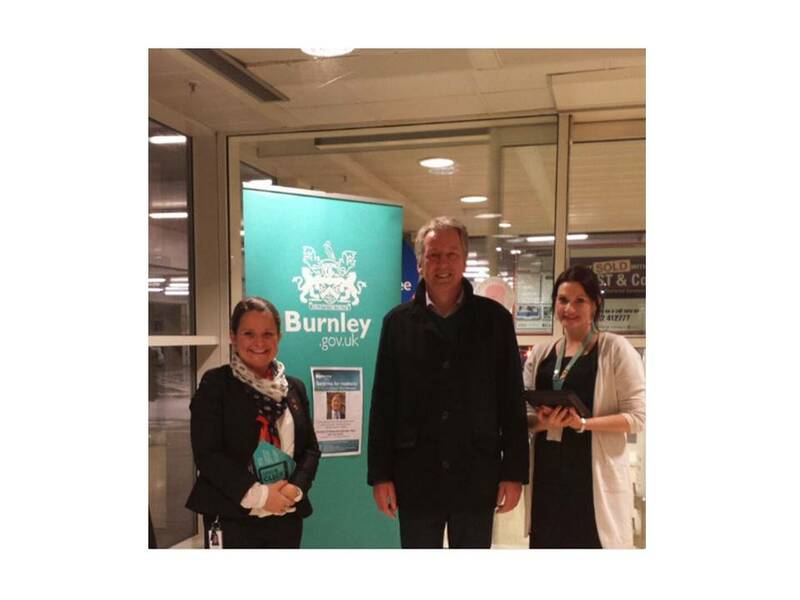 Last week, Liberata employees were invited to participate at Burnley Council Leader Mark Townsend’s regular surgery, to encourage local citizens to make use of the Council’s Simply Click online portal. The Simply Click portal enables the people of Burnley to engage with the Council for a range of services; from managing council tax and benefits payments, through to business rates and refuse collection. Leanne Burrows and Catherine Lister from Liberata’s Customer Service team talked to local residents about how they can save time by managing their benefits payments using the eBenefits online tool. They also discussed how citizens can get the most out of the portal’s tools, such as its online expenditure calculator. The Leader’s surgery was an ideal opportunity to promote the Council’s and Liberata’s joint ‘channel shift programme’ which aims to get 65% of local citizens interacting online with the Council within the next five years. After the event, both Leanne and Catherine were praised by the Council Leader Mark Townsend and the Council’s Community Engagement Officer for their proactive and positive engagement with members of the public, and they were “excellent ambassadors for the Council and Liberata”. This is a further example of how Liberata works in close partnership with councils to ensure that digital transformation is a success.